We had so much fun doing our last (ramen) food battle that we’ve decided to do another one. This time, we’re migrating from the Far East to the shores of the Mediterranean. Welcome to the Pizza Battle, we weigh on what the Best Pizza in Melbourne is. Pizza (pronounced /ˈpiːtsə/ ( listen) or /ˈpiːdzə/; Italian: [ˈpit.tsa]) is an oven-baked, flat, disc shaped bread usually topped with tomato sauce and mozzarella and then a selection of meats, salamis, seafood, cheeses, vegetables and herbs depending on taste and culture. Originating in Neapolitan cuisine, the dish has become popular in many different parts of the world. Note: The places we are reviewing are gourmet pizza bars. Pizza is as divisive as ramen, if not more so, and many variants exist. We like gourmet pizza, we think it tastes great, we don’t care if you don’t think it’s authentic enough because we like it. If you don’t like gourmet pizza then you can feel free to ignore this battle. 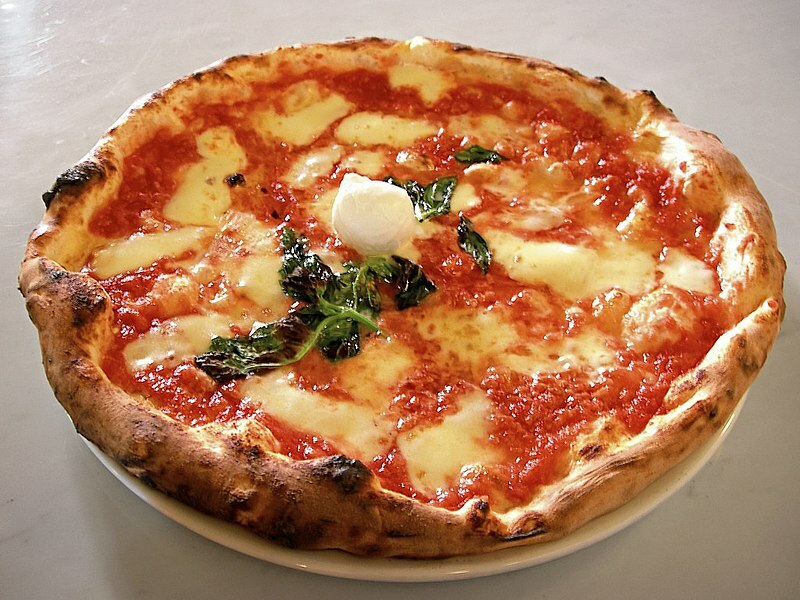 By way of explanation, I am aware that pizza, traditionally, is an everyman’s food in Italy. Great. But we aren’t in Italy, we’re in Melbourne and Melbourne has it’s own culinary traditions. And many of those culinary traditions are derived from stealing and appropriating other people’s food. Other Anglo-Saxon cultures have made a mint of this, look at Britain’s chicken tikka masala and America’s tex-mex? AND WHY NOT? Food doesn’t have to be traditional or authentic to taste good, it just has to taste good, and what we’re after is the best tasting damn pizza in Melbourne. Whether it’s a simple thin-base napolitana or named after a Jean-Luc Godard film or has half a litre of buffalo mozarella on it, we want to eat it. As usual, if there are any glaring omissions please let us know, but given that we already have 11 places to hit up (that’s a lot of pizza) please make sure it’s absolutely on par with our present suggestions. Since most of the pizzerias above are fairly heavy hitters, we aren’t going to seed like we did last time, instead we’re going to allocate the final spots (3-4) to the pizzerias with the highest overall scores, regardless of who ‘wins’ the heats. Consider it an Olympic-style competition. Everything Else: ambience, value, service, authenticity. Doughy Base: Is it deliciously crusty? Deliciously soft? Too much dough or too little? Etc. Sauce & Cheese Base: How’s the napolitana? The tomato paste? What sort of cheese is being used and does it cut through properly or does it overpower? Other toppings: Olives? Anchovies? Ham? Artichokes? Randomness? How do the toppings taste and how good is the produce being used? Heat 1 (D.O.C., Bande A Part, Barbagallo) will be up soon! Oh yes I forgot that one, shall add it. D.O.C.!! 🙂 Can’t wait to read about it. Interesting, will have to look into that one, thanks for the tip! They learn about the large guys, and gurus referring to rectos and plats, and wonder the way they occasion to arrive. Buy Warcraft Gold Within Seconds,Safe,Fast,Cheap Only in mmolive. rewards for finishing (gold, experience points, skills, items, etc). button to bring out your shield. ‘ Treatment of trauma or other issues which you have faced in this life.